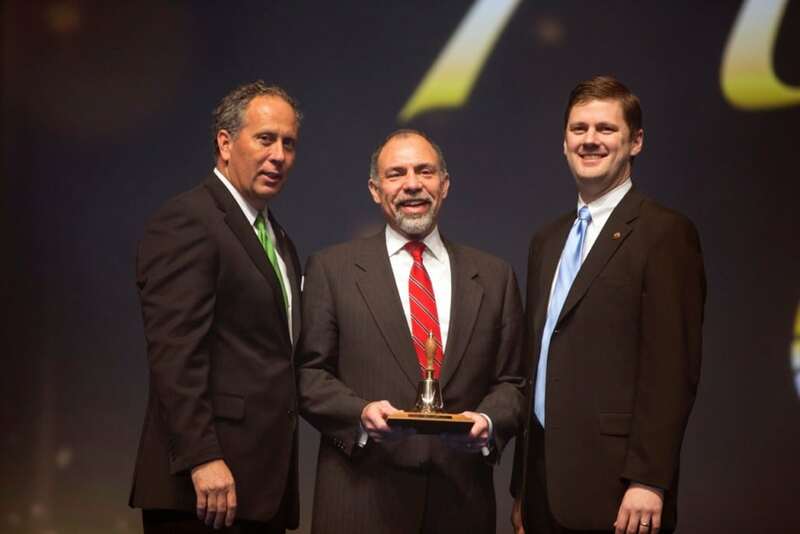 (NASHVILLE, TENN.) — The National Rural Electric Cooperative Association (NRECA) today awarded the Tennessee Electric Cooperative Association (TECA) its Paul Revere Award. NRECA recognized the association for its ability to mobilize cooperative consumer-members on behalf of the electric cooperative industry. Tennessee electric cooperatives faced an expensive and difficult fight with the cable industry in 2013 over the issue of pole attachments. The cable industry spent hundreds of thousands of dollars pushing legislation that would have created a $13 million subsidy paid by co-ops to the cable companies and stripped local co-op boards of control. Cable’s attacks were countered in typical co-op style. TECA’s Government Affairs Director Mike Knotts deployed a grassroots strategy to activate advocates across the state, urging them to contact state legislators, share information on social media channels and write letters to local papers in support of more reasonable legislation. Ultimately neither party prevailed, which amounted to a win for co-ops and a setback for the cable industry. More than 8,500 representatives from cooperative electric utilities across the nation are attending the NRECA Annual Meeting March 2-5, during which they will set NRECA’s legislative and organizational agenda for 2014. In addition to considering and acting upon policy resolutions, delegates receive reports from NRECA officials, hear addresses by key public figures and business experts, and attend educational forums on major issues affecting electric cooperatives and their consumer-owners.